The Nieuport Memorial is on a site where the road to Lombardsijde joins the road from Nieuport dock. 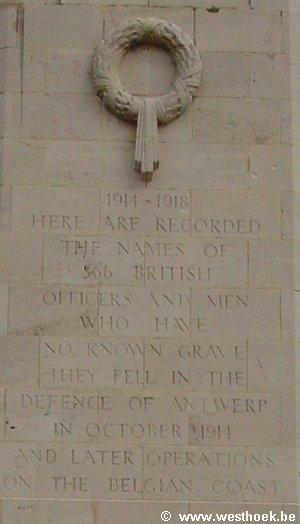 The memorial bears the names of 548 officers and men of United Kingdom forces who died during the First World War in operations on the Belgian coast, and whose graves are not known. A small number of those commemorated were casualties of 1914, mainly of the Royal Naval Division, who died in the attempt to hold Antwerp in October. Commonwealth forces did not return to this part of the line until June 1917, when XV corps relieved French troops in the sector from St Georges (now Sint Joris) to the sea. They saw particularly fierce fighting at Nieuport (now Nieuwpoort) in July, before handing the sector back to the French in November 1917. The remainder of those commemorated at Nieuport died during these months. The memorial was designed by W B Binnie with sculpture by C S Jagger. Nieuport (now Nieuwpoort) is a town in the Province of West Flanders on the south-west side of the River Yser, 3 kilometres from the sea. 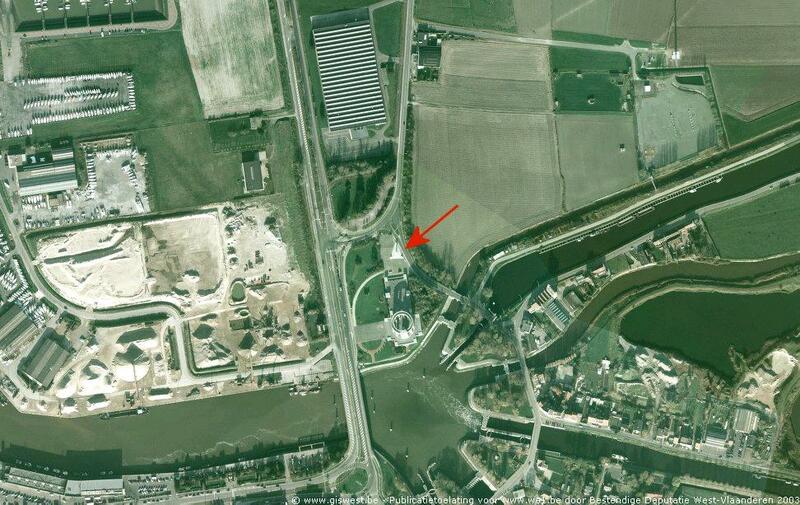 The Nieuport Memorial is on a site where the road to Lombardsijde joins the road from Nieuport dock. It commemorates over 500 British officers and men who fell in operations of 1914 and 1917 on the Belgian coast and whose graves are not known. 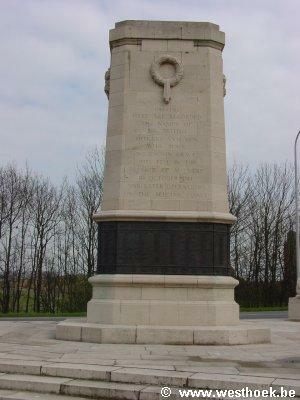 The Memorial takes the form of a pylon of Euville stone, 8 metres high, surrounded by a bronze band on which are cast the names of the casualties commemorated. It stands on a triangular paved platform, and at each corner of the triangle is the recumbent figure of a lion facing outwards.